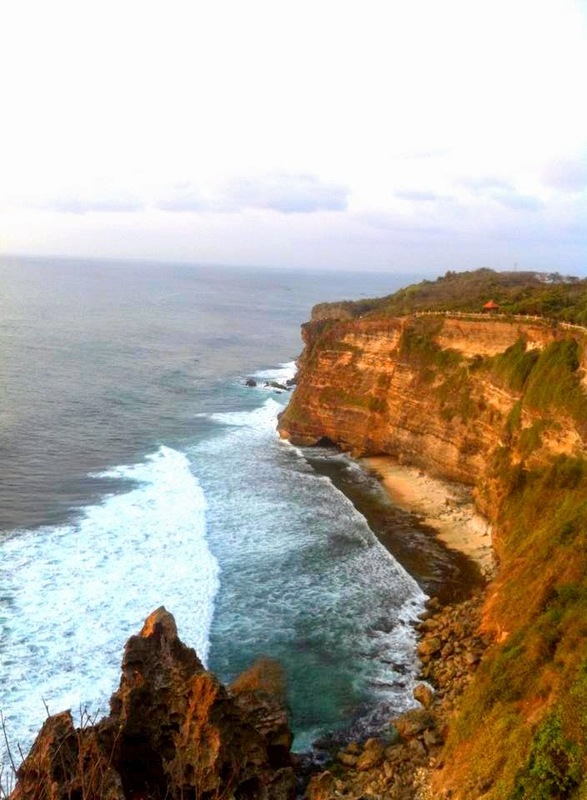 Uluwatu is one of the attractions in Bali most sought after by tourists from various countries. This attraction is a very amazing. In fact, in 2013, Uluwatu is a tourist attraction in Bali's most sought after by tourists visiting Bali Indonesia. Attraction at Uluwatu there is a temple located at the end of a high cliff. The temple is named PuraUluwatu. Temple which is amazing, and became an icon for the attraction of Uluwatu. Despite being on the edge of a cliff, but the temple is still sturdy no landslides. As well as the ocean waves threaten the existence of the temple. As if to destroy the temple high cliffs to drop to the bottom of the cliff. Which became the target by tourists while visiting Uluwatu is witnessing Kecak dance. Kecak is a colossal dance played by tens to hundreds of people. Kecak dance usually performed before sunset. Sunset at Uluwatu very fascinating attractions. 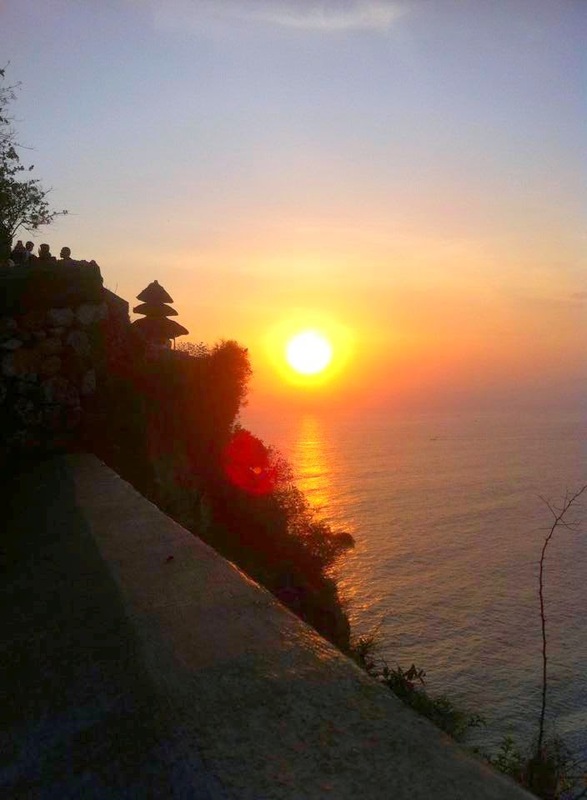 The tourists will watch the sunset at Uluwatu on the top of a very high cliff. So that the sun looks intact and perfect, as the sun disappeared and sunk at sea. Sunset at Uluwatu a tourist attraction that is very sought after by tourists. 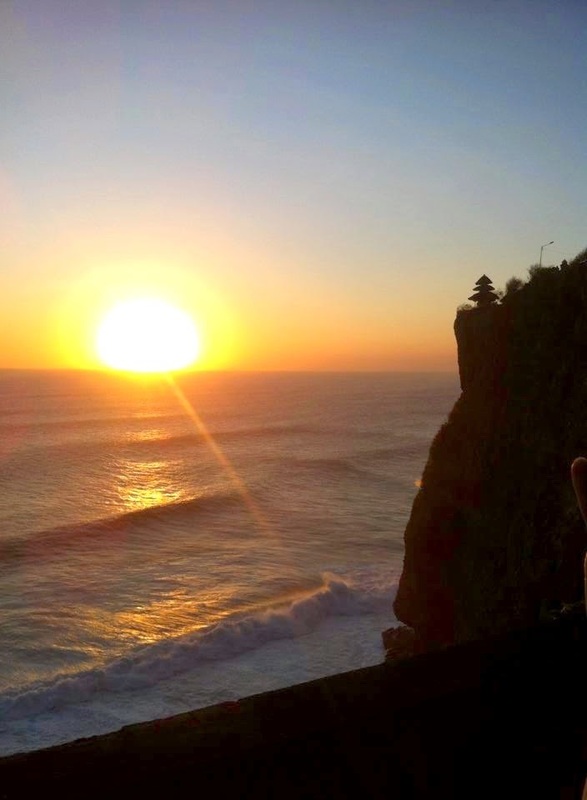 Not only sunset, in Uluwatu also be a great place to watch the sunrise in the morning. Sunrise at Uluwatu very beautiful, looks intact and reddish when beginning to emerge from the sea. 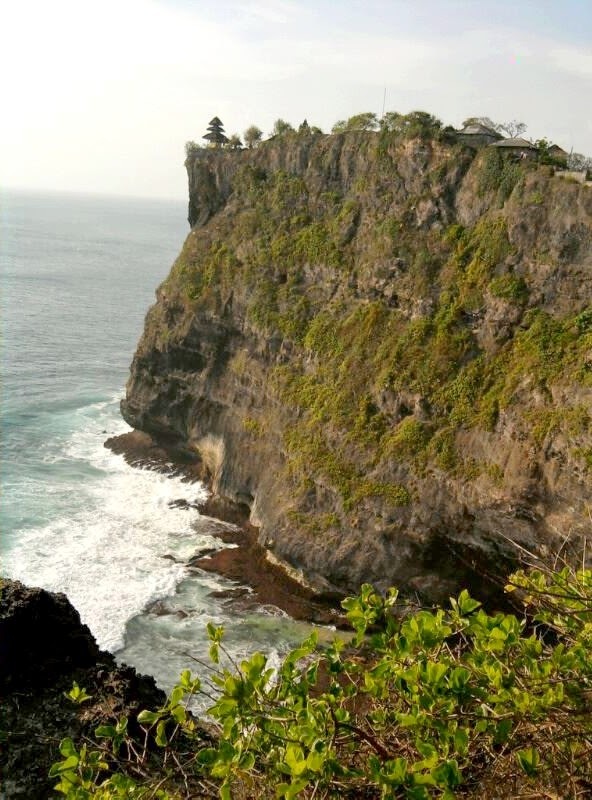 If at the end of a high cliff at Uluwatu, the man who stood at the edge of the cliff will feel tense. The sensation that is felt is a sense of tension and terrible as he stood at the end of the cliff. The most stressful moment is to see to the bottom of the cliff. Seeing the sea waves kept crashing at the bottom of the cliff. Beautiful natural landscape with a natural feel fresh and beautiful, Uluwatu is a great place to relax and calm the mind. Nature around Uluwatu is still very well preserved and beautiful. Forests are still very widespread, and became a life long-tailed monkeys. Long -tailed macaques in Uluwatu same as in Monkey Forest in Ubud. Monkeys there are very aggressive and nasty. Sometimes they would take the belongings of visitors. Glasses are the most frequently retrieved objects enumerated by monkeys of visitors. Each visitor must not exhibit interesting objects and stimulate the monkeys to take and seize by force.